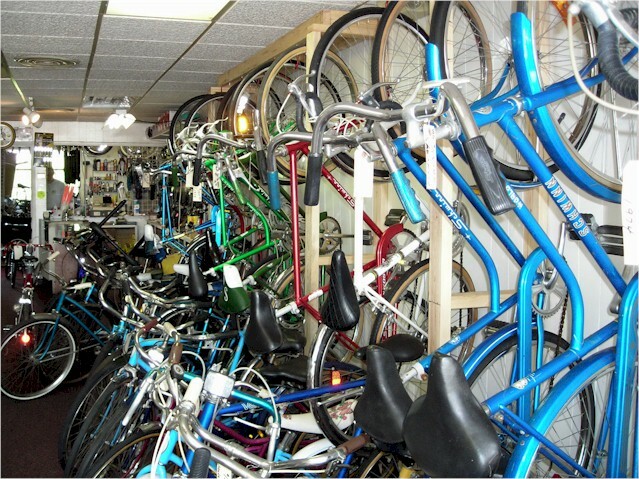 Conveniently located just 7 blocks south of I-696/11 Mile Road on the East side of Van Dyke Avenue. We are available for special appointments, just call us! 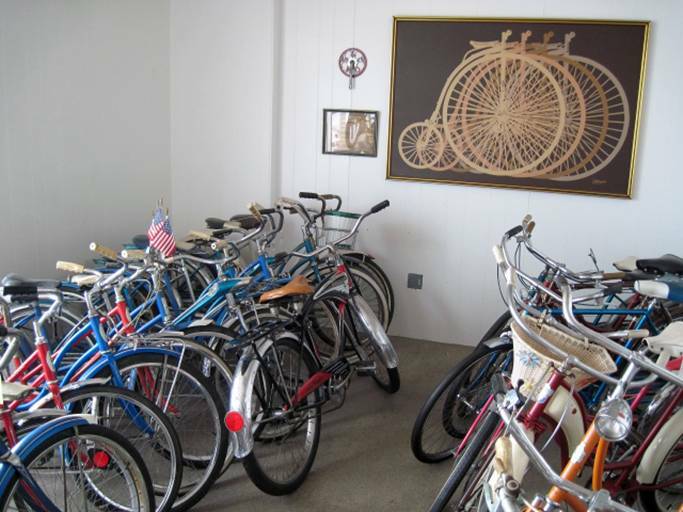 Join us every Tuesday at 6:00pm for Bicycle Night, presented by the Lumber Yard Grub & Pub and Eastside Bike Shop. Antique bikes, rat-rods, good food, and cold beer! Located at 26700 Schoenherr Rd, Warren, south of I-696. Looking for the perfect gift? Consider one of our Gift Certificates. 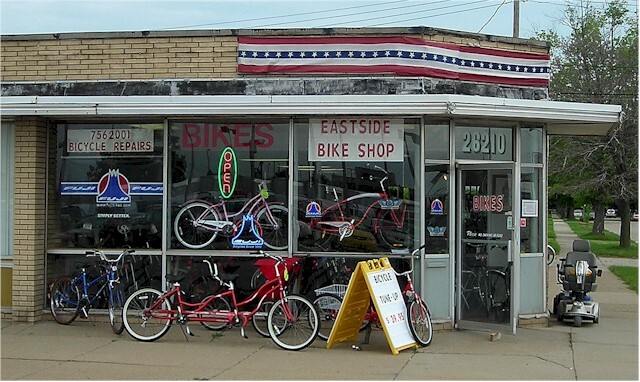 In the April 21, 2010 edition of MetroTimes we were the Staff Pick for the Best Bike Shop in their “Best of Detroit 2010” poll. Click on the link, scroll down, and read what they had to say! 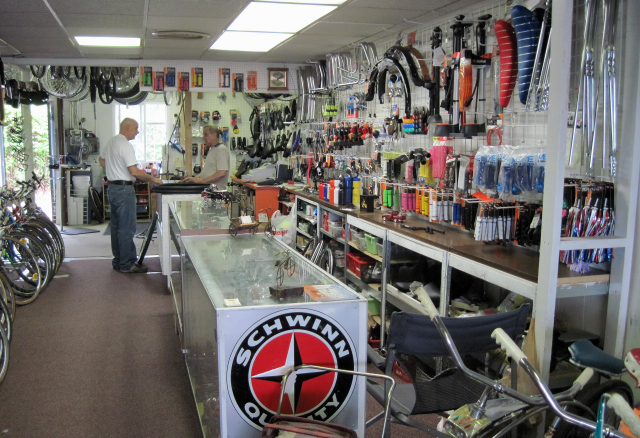 We are an authorized Fuji Bicycle Dealership. This is just a sample of our wide selection. We also do repairs and maintenance. Denny's Hint #9: Doctors advise diet and exercise. At least we can make the second part fun. 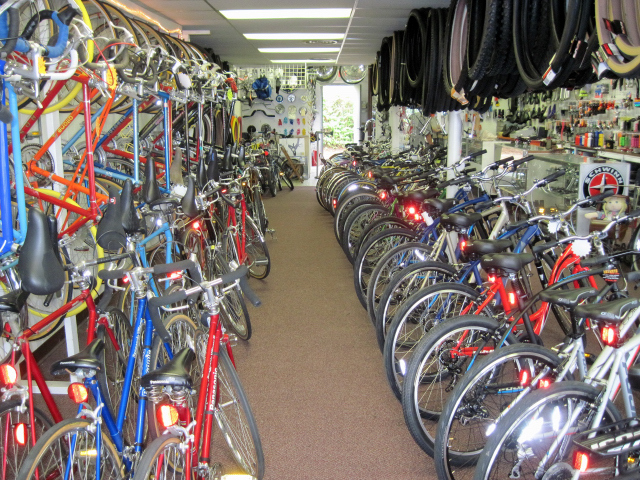 Why do people from all sides come to Eastside Bike Shop? It's quite simple, really. 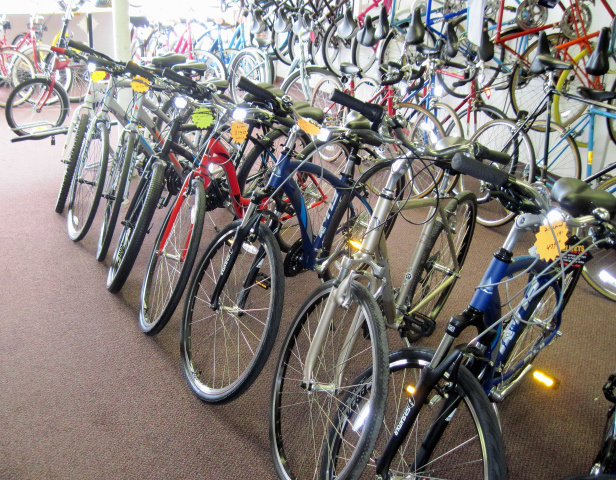 See our wide selection of used & new adult bicycles. You can see the full Fuji Line by visiting www.FujiBikes.com. 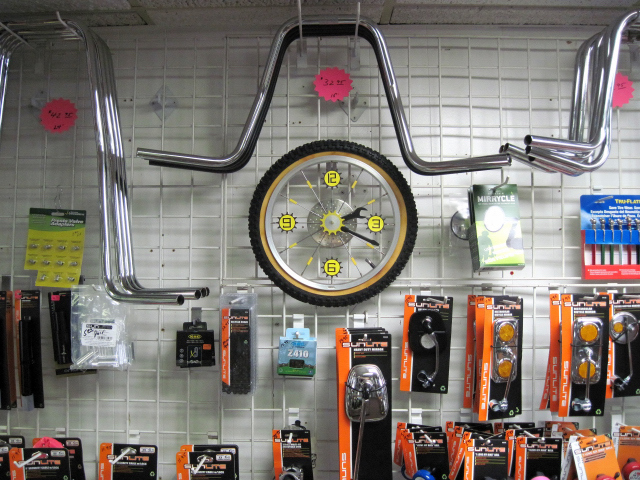 Our full line of parts & accessories are readily available, special orders are also taken. 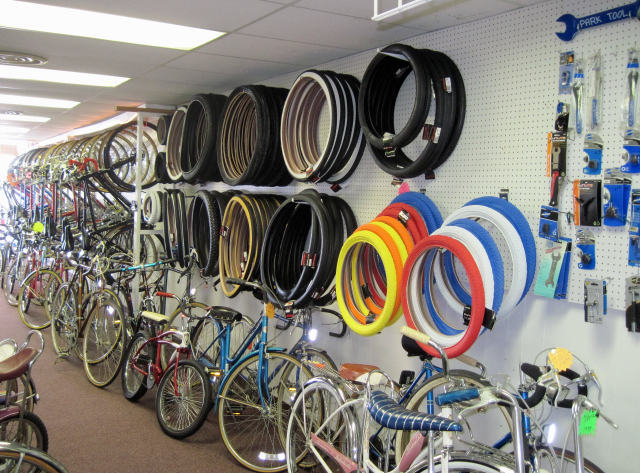 Most tire sizes in stock for immediate delivery – special orders taken. 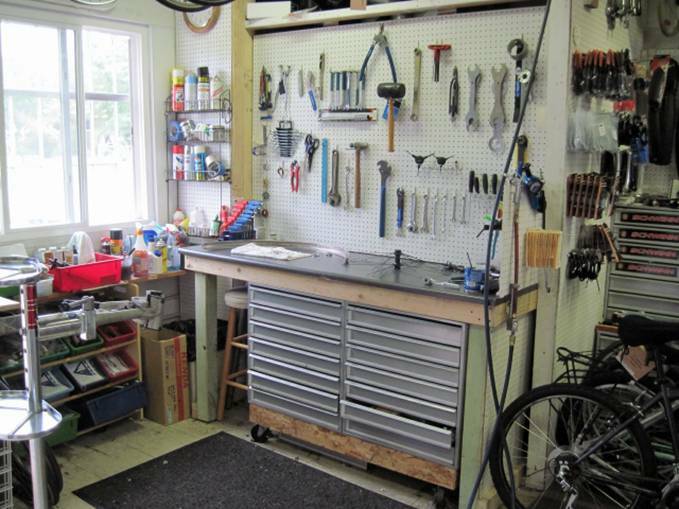 Our shop is equipped to handle new / old repairs, usual turnaround is next day service. Visit and see our large selection of parts & accessories. 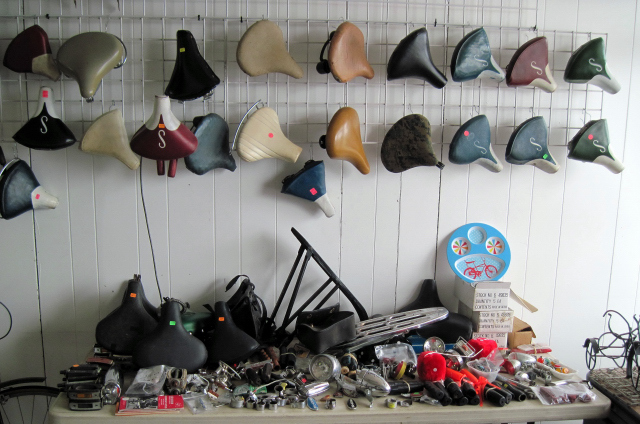 As you can see, we carry & repair classic/old school bikes. You just may find that old part you’ve been searching for. Old stock items are updated daily. We carry the odd and hard to find. It's time to check out our accessory department. 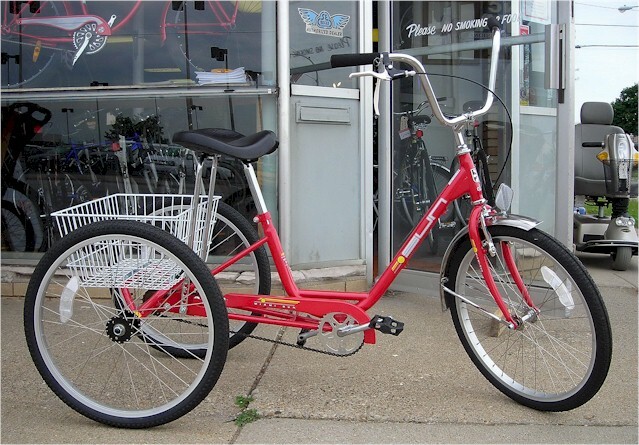 We feature the full line of adult bicycles. Can't find the particular part you want for your favorite ride? Could it be time for a tune-up? Getting ready for an out of town trip and you discover a flat tire? Maybe your bike just doesn't ride as well as you think it should? Our experience level is unsurpassed in the Metro Detroit area. We're here to help YOU enjoy your 1, 2, or 3-wheeled investment. Give us a call! Our inventory is constantly changing. Items shown in the photos will not necessarily be in stock or may be one-of-a-kind "finds" which have been sold since the photograph was taken.